With many Not for Profit organisations facing the fourth major disaster appeal this year, US fundraising expert and publisher of the Getting Attention Blog, Nancy Schwartz gives her advice on how NFPs can ‘keep giving going’. An article in The Age newspaper has already highlighted the difficult situation faced by Australian Not for Profit organisations involved in disaster relief. The newspaper reports that the Australian Red Cross is struggling to maintain its own programs as its launches its fourth disaster appeal in 12 weeks. World Vision CEO Tim Costello told The Age that responding to the recent string of disasters felt like being in the ring with Mike Tyson – every time you look away, you get hit again. He said it is really stretching the organisation. Costello said disaster relief – normally only a third of World Visions operations – had overtaken development as the focus of the NFPs work. In her expert article, Nancy Schwartz examines the marketing challenge facing Not for Profit organisations delivering aid, such as how to keep giving going even as relief needs evolve – and while the earthquake and tsunami and the plight of survivors, moves away from top of mind. Another challenge Schwartz identifies is how the majority of NFPs must maintain their marketing and fundraising initiatives despite the world’s focus on disaster recovery. Schwartz says there is a urgent need for reliable, timely reporting, despite technological and logistical constraints. She says communicating on disaster relief work is where social media tools, from Skype to Twitter, should be put to work for all they are worth. Through social media, organisation can share the focus and impact of their work on the ground. Schwartz again uses the Salvation Army as an example, as they began blogging about their relief efforts even in the planning phase on March 11. UK charity Shelterbox is blogging the impact of its relief effort via this blog, complete with photos and regular twitter updates http://twitter.com/#!/ShelterBox. Schwartz says this conveys the organisations expertise and value and builds trust with prospective donors. Be thoughtful when using graphic photos of the disaster. Schwartz says the press is working for the relief effort by publicising shocking photos, so it is not something NFPs need to use. Schwartz says this role, which is an unusual one for many organisations outside of disaster relief, has the potential to confuse established audiences, so NFPs need to explain what they are doing and why. Schwartz says NFPs need to remember that audiences have been immersed, whether they have wanted to be or not, in disaster coverage. She says some NFP may want to talk about the disaster, and the contribution that donors have made, as a way of talking about how that NFPs specific issues (health, environment etc.) persist in the face of these tragedies. Relate your work to relief work when relevant—but don't overstate. Make sure you don't overstate a connection between your organisation, services or programs and the disaster. At the same time, acknowledge the earthquake. Pretending the disaster didn't happen is the worst mistake your organisation can make. Continue with your planned communications and fundraising campaigns. Schwartz says NFPs shouldn’t get nervous and pull the plug on carefully designed plans – if they have a timely pitch, they should make it. However if a NFP is organising a once-a-year fundraising campaign and it coincides with the week of the disaster, consider delaying it. Plan to communicate even more effectively around the next crisis. Schwartz says if an organisation isn’t focused on relief, or passing through contributions, it’s likely that it will be on the sidelines next time round. She says while this experience is still fresh, sketch out a one-page plan of what you’ll do next time round. Schwartz says she recommends NFPs continue to track how these organisations, and others, are communicating on their relief efforts or in the shadow of the disaster in Japan. She says there’s lots to learn about how NFPs can improve their outreach, in times of disaster or, better yet, days of calm. 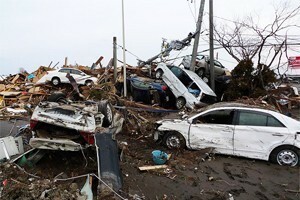 World Vision Japan Disaster Relief – www.worldvision.com.au or by calling 13 32 40.